Pinch and Shed will play their first ever back-to-back set next month as part of Berlin Atonal. They feature amongst the final additions for this year's line-up, with AnnaMelina, PAN-affiliated producer SKY H1, Giant Swan and more also joining the bill - they will play as part of a programme curated by Northern Electronics' Varg. JASSS and Nene Hatun will play either side of Mick Harris who will present his Fret project live on the main stage as part of the festival's Thursday night programme, while Blackest Ever Black-signee Pessimist will close out the stage that night. Ambient producer David Morley will follow Emptyset's closing main stage set with what is being billed as a "special comedown performance", while there are also appearances scheduled from Japanese hip-hop duo The Lefty, Swedish producer Sissel Wincent, Northern Electronics artist Ulwhednar, LoneLady, Moritz von Oswald, Inga Mauer and many more. They all join a stacked line-up that already includes Shackleton & Anika, Main & Regis, Demdike Stare, Wolf Eyes, Carla dal Forno and many more. You can check the full line-up here. 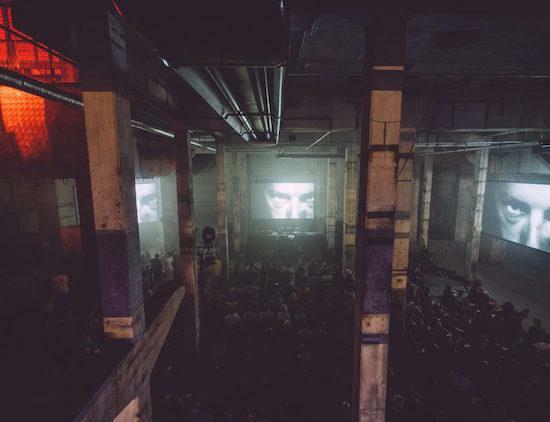 Berlin Atonal takes place at Berlin's monumental Kraftwerk building from August 16-20.